A RUP LIFE: Quilts of Love | HIDDEN IN THE STARS – #REVIEW & $200 Giveaway & “Fall into Fall” Facebook Party! 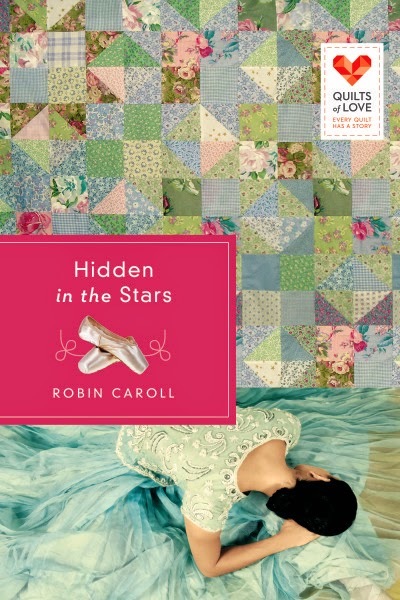 I recently had the opportunity to review the newest Quilts of Love book, Hidden in the Stars by Robin Caroll. September's QOL release is a wonderful combination of mystery, romance, and family love bound together by a quilt and the story it tells. This book grabbed me in the first chapter. I honestly couldn't wait to find out the mystery. I'm usually not a big mystery genre fan but Carroll weaved a fantastic tale and I was hooked! Sophia was such a fantastic character - strong, independent and faith-filled. She was inspiring with all she goes through and how she handles it all. I would love to see another book with these characters - perhaps the next chapter of Sophia's life since it has drastically changed. You can purchase your copy at your local retailer or online at stores like Amazon.